I’m excited to share I’m a 2018 Reynolds Ambassador! 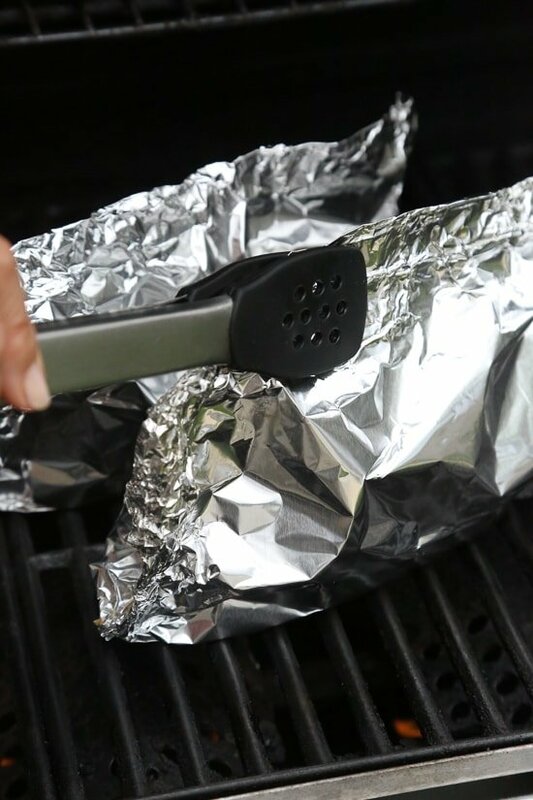 My preferred foil for grilling is Reynolds Wrap Heavy-Duty Aluminum Foil which is a heavier gauge foil than standard Reynolds Wrap, which is perfect since you don’t have to worry about breaking or tearing, even with heavier foods and it protects food over direct heat. Tear off a 16” sheet of foil. To bake in the oven, preheat oven to 425F and cook 10 to 12 minutes. 2 for 2! This is the second dish I have tried from skinnytaste and both have been flavorful and crava-able. This dish is absolutely delicious and so easy to make. I was blown away – tastes like we went out to a super-fancy seafood restaurant. I baked mine in the oven. I made this and it was AMAZING! I will totally try it again! 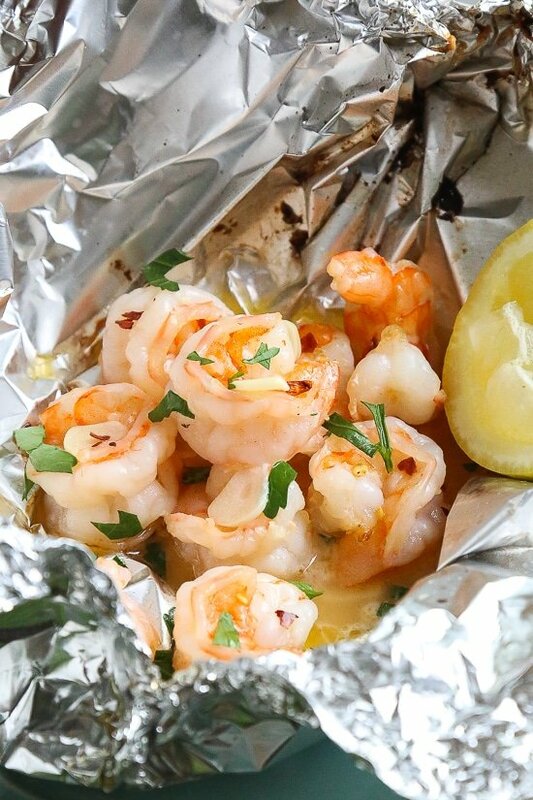 DO you think I prepare the shrimp and foil packets the night before and just throw them in the oven when I’m ready for dinner? The lime juice might affect the shrimp this way. I took this recipe and turned it into a light and refreshing stir fry. It was delicious ? I have been trying to find alternatives to the salty and sugary soy sauce based sauces and this was perfect. Could you use scallops in place of shrimp? Thanks in advance. I’m not too sure. If you try it, let me know how it comes out. These were delicious! I added asparagus to them for an easy side. Thanks! Made this tonight with a zucchini and squash mix with orzo and some grilled garlic bread. Delicious! The family ate it up. Will definitely be added to regular rotation. Thank you! I’ve made this several times now. I’ve started adding asparagus to the packets. Awesome and simple. We even made them once while camping. I love foil packets! And shrimp scampi! Can’t wait to try your recipe! Thank you!! Yes! More foil packet recipes please! I can’t wait to try this!! Yet another hit, Gina; thank you – this scampi is delicious. We grilled baby rutabaga and multi-color carrots (thank you, Farmer’s Market) for 15 minutes before we tucked our scampi packets onto the grill. Changes: Grating the initial garlic sounded like a prescription for Band Aids so I minced that garlic portion then I shaved, rather than melted, the end-of-recipe butter. Another simply perfect recipe, Gina. I love the idea of foil pack meals but because of the aluminum toxin release we don’t use it to cook. What other suggestion would you have? I use parchemnet paper in oven but that might not work for the grill. I’m going to try this tomorrow, can I use frozen thawed shrimp? 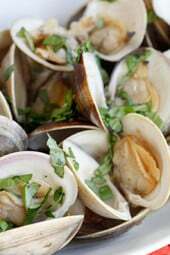 Would love a recipe for grilled clams/clambake in foil packets! Ok will do that soon! Mussels too! Or is that pretty much the same? ? Wow, this was just crazy good! I’m following the meal plan this week and grilled zucchini. I wanted my boys to get that in their tummy, so I chopped the grilled zucchini super fine and added it to cooked orzo with butter, basil, lemongrass, and lemon pepper. We also grilled corn on the cob. Wow! Just a fantastic meal, thank you! I made this tonight for dinner. Cooked it on the grill. Only substitution I made was chicken broth instead of the wine. Delicious! Served it with rice and roasted brussels sprouts. My husband said it could have been a restaurant meal! 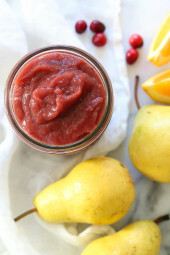 This recipe looks great and my five year old wants to me to make it for him this week! I have a bag of frozen precooked shrimp, can those be used as long as I thaw beforehand and reduce the cooking time? 40 JUMBO shrimp to a lb…doesn’t sound right…more like 16 to a lb. 40 count to a lb would be cocktail shrimp. Really depends on your supermarket. Yes, more foil pack recipes please! I love your Cajun shrimp recipe. I’ll definitely try this one out too. This dish is absolutely fabulous! I rate this a 10 out of 10, both for flavor and for being a low point meal to be used if you are a weight watcher fan. I used lime juice instead of lemon ( it’s all I had available), Placed some chopped cilantro in each foil packet along with the other ingredients and baked in the oven as instructed. Absolutely delicious, and my husband loved it as well! Combined with warmed whole wheat seeded bread and steamed broccoli-perfect! You were so right about using the bread to soak up the delicious juices… It was almost my favorite part! Can’t wait to try this! 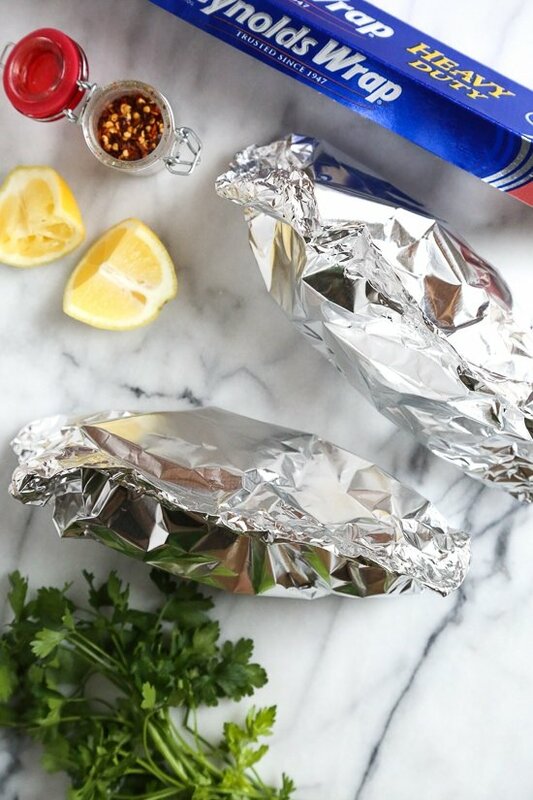 Do you need to turn the foil packets over while grilling or just leave alone? This looks like a great recipe, but I have a question about cleaning shrimp. I buy the frozen shrimp with tail on, so I thaw it, pull the tails off, and remove the digestive tract. This takes quite a while for a half bag of shrimp. 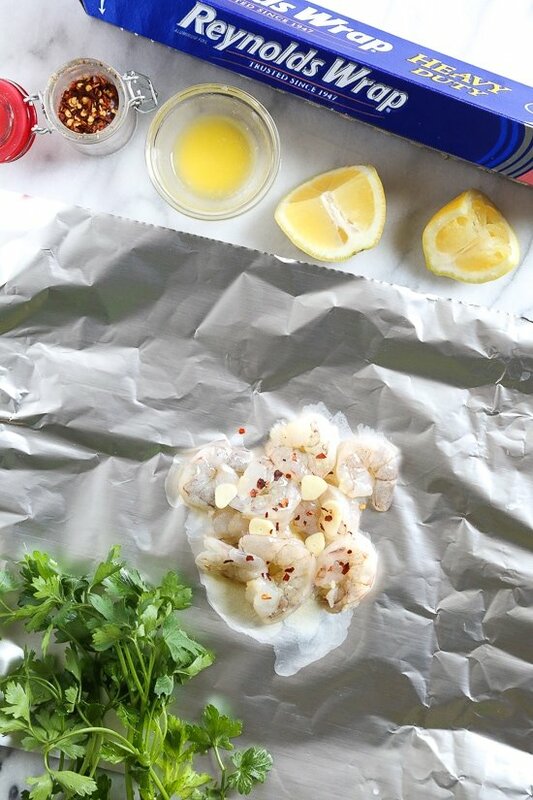 How do you prep your shrimp? I usually buy them peeled and deveined for convenience! I did not see the oven directions. Where are they? 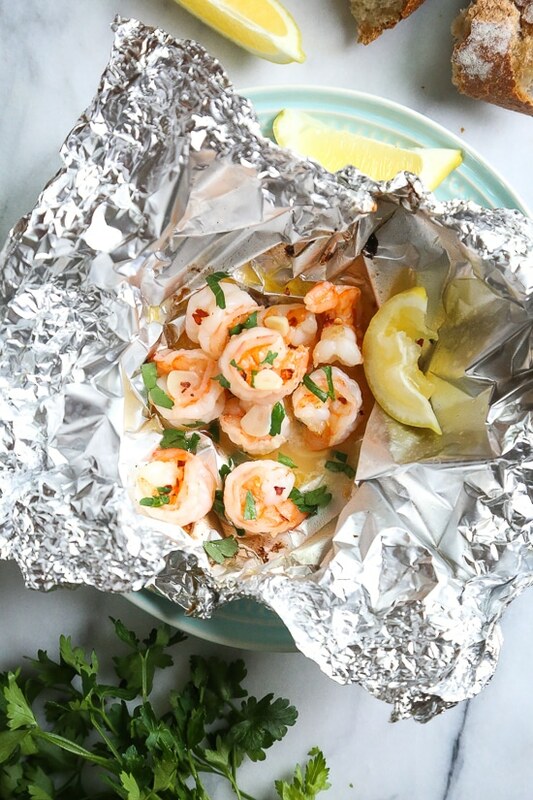 More foil wrapped recipes please!! Haven’t tried it, but planning on it, soon. Can these be made with all or part olive oil, to cut the cholesterol from the butter? Thank you for this. This is timely as I was invited to a bbq this weekend and we were asked to bring our own something for the grill if we aren’t into hot dogs. This is perfect! I would love to see a packet with lobster! Thanks for this ome – can’t wait to try! ? Can I replace the wine with chicken broth? Love foil packets!! What side do you serve? Angel hair? No. No it’s not. ? Take your woo somewhere else. This was so easy and so good. 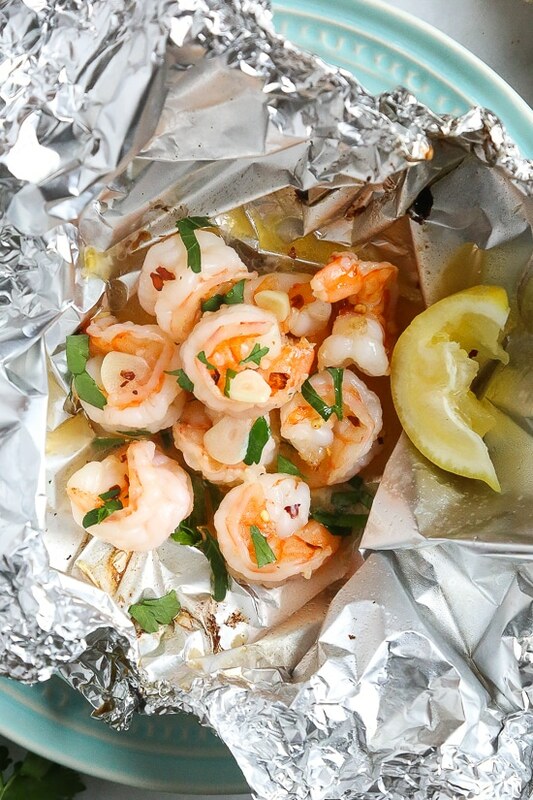 I’m thrilled to have a foil packet recipe that does so well in the oven and (I hope) on the grill if it ever stops raining here.. I used large shrimp so needed more than 10 minutes, but they turned out perfectly cooked. Did roasted mushrooms and asparagus to accompany. ooOOoo, I’ve never roasted mushrooms, I gotta try that! Calls for 1 Tbsp olive oil but one 1/2 used in recipe. Correct? It’s all used, I divided between 4. Pat or 2 of butter ? Any chance frozen shrimp could be used? I am so excited to try this tonight (it’s a perfect day for grilling). I think I will pair it with your roasted asparagus and some sort of orzo. These sound delicious! Could you throw some sort of veggie in the packets as well, like broccoli or zucchini? Would it alter the cook time much? Yes! 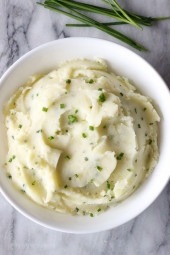 It would be awesome with zucchini or even spiralized zucchini. 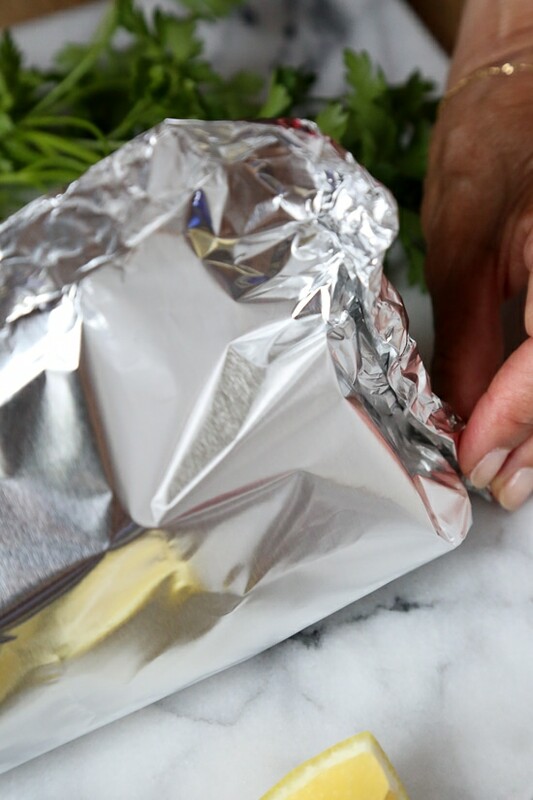 This would be great with a parchment paper lining so the food does not touch the foil. Will try this soon. Thank you. What would you recommend as a side to this dish? Loved your cajun shrimp recipe! I’m sure this one is great too! I would love to see more foil packet recipes. The clean up is so easy. It is perfect for a summer cookout. Can you do these in the oven? We are going to have rain ALL weekend but I am eager to try them. Great! I just included oven directions above! Made this in the oven tonight – so YUMMY!. OMG – this may become my dish for the summer! Thanks for posting AND including the oven directions in the recipe.